Nino Cerruti introduced Cerruti Image in 1999. Its natural top notes consist of fresh barbancia leaf creatively combined with crisp pear and zesty black pepper, intertwined with a heart of fresh jasmine. A sensual base of woodsy vetiver, wrapped in a gentle musk and amber combination complete the harmonic, energetic, crisp and refined fragrance. 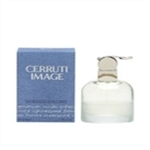 Presented in a futuristic-looking, frosted glass bottle with modern artistic spray cap, it clearly reflects the positive and youthful attitude indubitably Cerrutti. This fragrance is part of my courtship and is insisted upon by my fair lady. So, it was with great relief that I found you folks and was able to obtain Cerruti Image and at a most reasonable price. You have enhanced our courtship! I bought this perfume for my boyfriend he loves it alot. I love the smell every time he puts it on i just want to be huging him and being with him this perfume is very attracted.